The most important key is to think of the moon as a world in space, with a day and night side. Why does the moon seem to change its shape every night? Why can I see the moon in the daytime? Moon phase composite via Fred Espenak. Read more about this image. 1. When you see the moon, think of the whereabouts of the sun. After all, it’s the sun that’s illuminating and creating the dayside of the moon. Moon phases depend on where the moon is with respect to the sun in space. For example, do you see which moon phase is being shown in the first illustration above? The answer is, it’s a full moon. 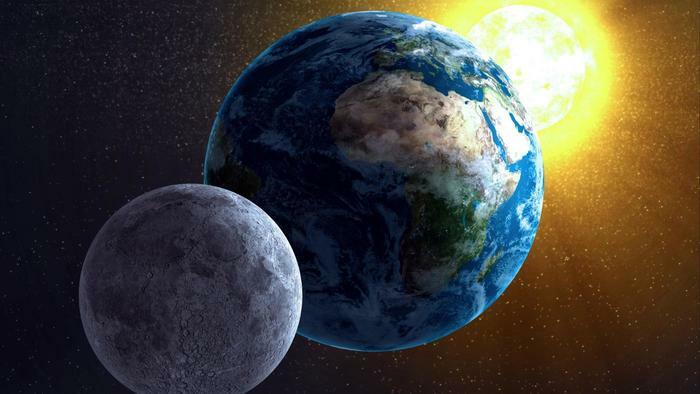 The moon, Earth and sun are aligned with Earth in the middle. The moon’s fully illuminated half – its dayside – faces Earth’s night side. That’s always the case on the night of a full moon. Don’t just take our word for it. Go outside. No matter what phase of the moon you see in your sky, think about where the sun is. It’ll help you begin to understand why the moon you see is in that particular phase. Earth’s daily spin causes the moon – like the sun – to rise in the east and set in the west each day. 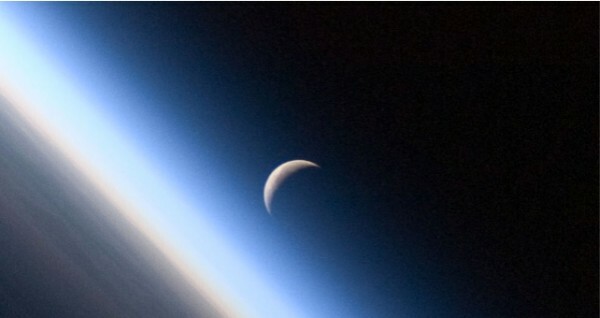 Image via Martin Clebourne’s article Where is the Moon? 2. The moon rises in the east and sets in the west, each and every day. It has to. The rising and setting of all celestial objects is due to Earth’s continuous daily spin beneath the sky. Just know that – when you see a thin crescent moon in the west after sunset – it’s not a rising moon. Instead, it’s a setting moon. 3. The moon takes about a month (one moonth) to orbit the Earth. Although the moon rises in the east and sets in the west each day (due to Earth’s spin), it’s also moving on the sky’s dome each day due to its own motion in orbit around Earth. This is a slower, less noticeable motion of the moon. It’s a motion in front of the fixed stars. If you just glance at the moon one evening – and see it again a few hours later – you’ll notice it has moved westward. That westward motion is caused by Earth’s spin. The moon’s own orbital motion can be detected in the course of a single night, too. But you have to watch the moon closely, with respect to stars in its vicinity, over several hours. The moon’s eastward, orbital motion is easiest to notice from one day (or night) to the next. It’s as though the moon is moving on the inside of a circle of 360 degrees. The moon’s orbit carries it around Earth’s sky once a month, because the moon takes about a month to orbit Earth. So the moon moves – with respect to the fixed stars – by about 12 to 13 degrees each day. The moon’s orbital motion carries it eastward in Earth’s sky. 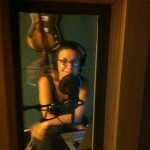 Image via cseligman.com. 4. The moon’s orbital motion is toward the east. Each day, as the moon moves another 12 to 13 degrees toward the east on the sky’s dome, Earth has to rotate a little longer to bring you around to where the moon is in space. Thus the moon rises, on average, about 50 minutes later each day. The later and later rising times of the moon cause our companion world to appear in a different part of the sky at each nightfall for the two weeks between new and full moon. Then, in the two weeks after full moon, you’ll find the moon rising later and later at night. 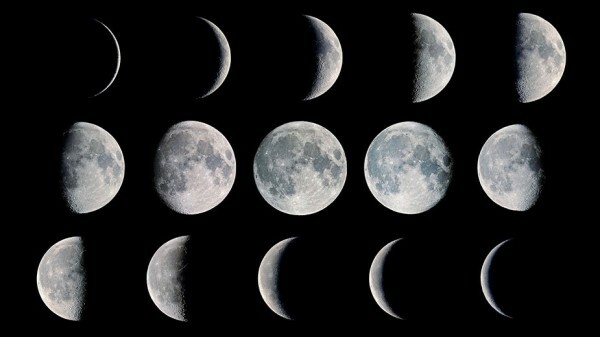 We have more details on individual moon phases at the links below. Follow the links to learn more about the various phases of the moon. … and here are the names of all the full moons. Earth and moon, via NASA. Bottom line: Why the moon waxes and wanes in phase. EarthSky lunar calendars show moon phases for all of 2019. They make great gifts. Order now. Going fast!